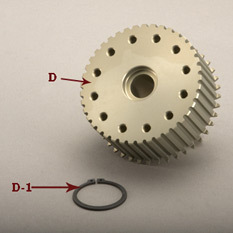 EVB-1T | Belt Drives, LTD.
Closed belt drives for FXR & FLT rubber mount is designed for a bolt-in application. 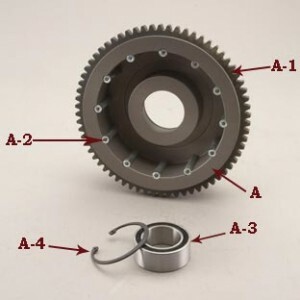 Our clutch basket features 12 cylindrical replaceable clutch dogs, which allows our clutch steels to maintain constant contact. The polished pressure plate uses nine shoulder bolts and springs, which allows simple installation. 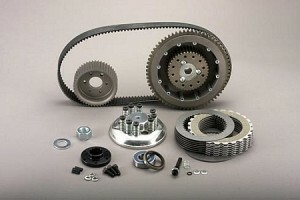 Our Kevlar clutch plates give maximum performance. 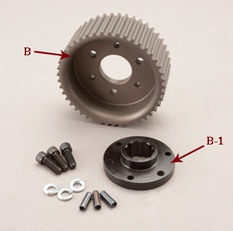 We include a sealed bearing for the inner primary for 1986-1989 belt drives.